I have used different type of Fabriano watercolor Paper for years, I put together a summary and recommendation below for those who are new to Fabriano and would like to try this brand or different type of paper within Fabriano brand. I hope it helps you to select the right type of paper for yourself. Obviously the type of watercolor paper you use makes a huge difference in the quality of your final work. It plays a major role not only in the outcome of your work but also the fun part of it, the enjoyment you have during paining, in addition it helps you to be able to transfer your feelings on to the paper. That’s why first you need to make sure you are using the right type of paper when painting. 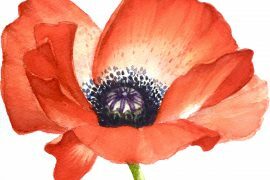 The type of the watercolor that suits your work can depend on many factors such as the techniques you use, the amount of water you normally use or what kind of texture works better for your painting subjects, or how easy you can find and purchase that type of paper in the stores, or you need to pay for expensive shipping fees? 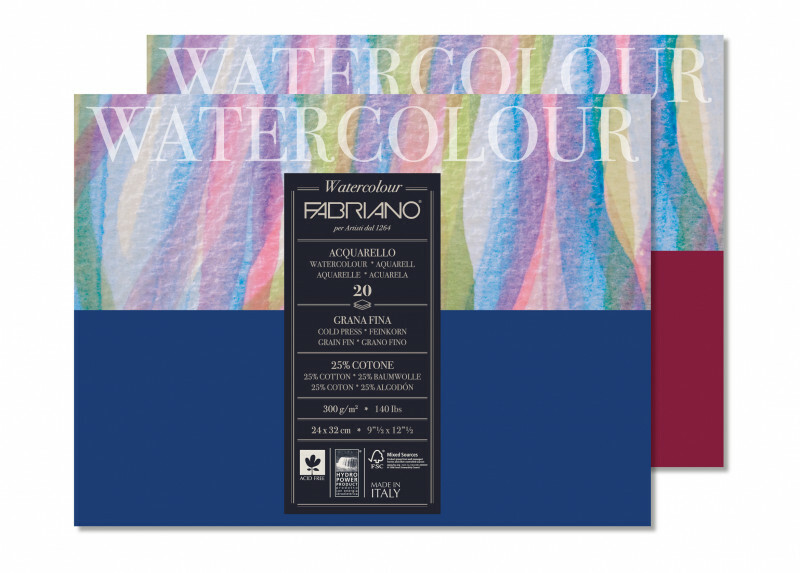 Watercolor Paper (Student): Fabriano has simply named this type of paper’ Watercolor Paper’. It is the most available or common type in the stores, and the cheapest among the 3 types above. This type is more suitable for students or practice. I don’t recommend this type of paper because you will have less control over water and pigment’s movements on this paper, if you use lots of water and would like to get benefits of water and pigment movements on paper you will have better result with Torchon and Artistico paper, I would recommend to try those. This type pf paper is made through Cold press molding process, which gives a special texture to the surface of paper, the surface is not even or smooth. This texture is ideal for many painting subjects such as landscape. If you want to use this type I recommend try 300gr. Studio Torchon Paper: This type if my favorite so far. Torchon or extra rough is a Studio or practice version but it do the job you want it do it. Eventhough it is only 25% cotton content but you have much better control over the water and color compared to the first type and therefore you can enjoy painting much more. It is less expensive than Artistico 100% cotton more or less half of the price. Studio Torchon has a special texture, it is smoother than cold press texture. This texture helps if you want to paint smooth looking surface such as portraits or realistic painting. Studio Torchon normally comes in 270 or 300 gr. I would recommend 300 gr. 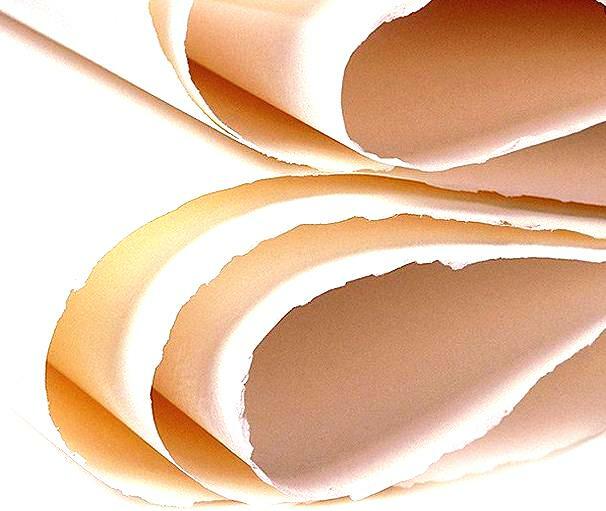 Fabriano Artistico (100% cotton): This is really an ideal paper to work on I would recommend it for use. You will have a very good control over the flow water and pigments on paper therefore you can have better results using this paper, in addition color looks more vivid on this paper. Compared to Stuido Torchon you will need more water to support the flow of pigments. However Fabriano Artistico is the most expensive type among the others mentioned above. 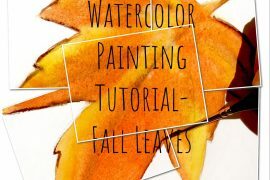 I would recommend this type for professional watercolor artists. Artistico comes in different weight; 200, 300 & 640 gr. I recommend to use 300 gr for watercolor. Artistico comes in cold press, hot press and rough. Hot press is very smooth compared to two others, and rough has even more distinctive texture compared to cold press. I have used all the above mentioned watercolor papers myself, for me the first type which is called Fabriano Watercolor Paper (which I think it is student version) doesn’t work that much, however I have much more success and fun with two other types: Studio Torchon Paper and Fabriano Artistico 100% cotton. Here you can find Fabriano Watercolor Papers (Click) and Fabriano Artistico 100% (Click) on Amazon. You can have a look at the reviews and compare the prices. 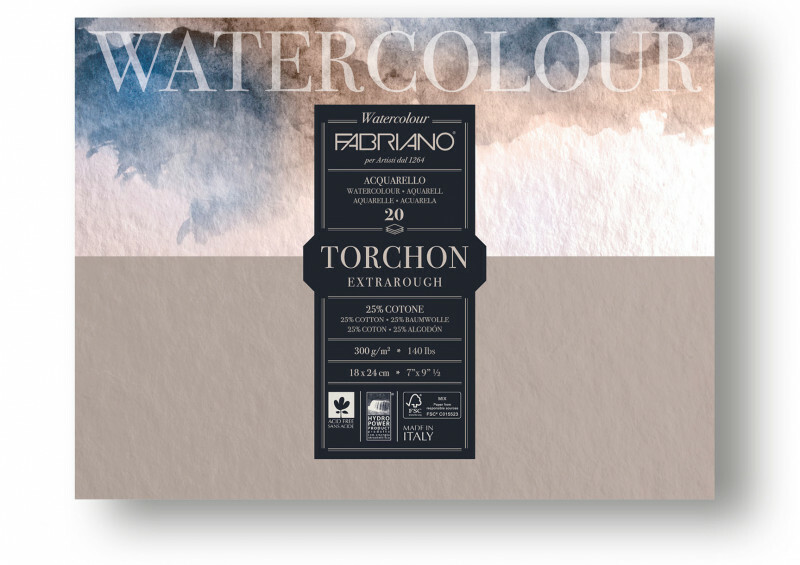 Unfortunately I couldn’t find Fabriano Torchon in Amazon online, but you should be able to find it in most of Art supply stores.